The video from Ruth Crilly features the model using a number of Max Factor products as part of a make-up tutorial. 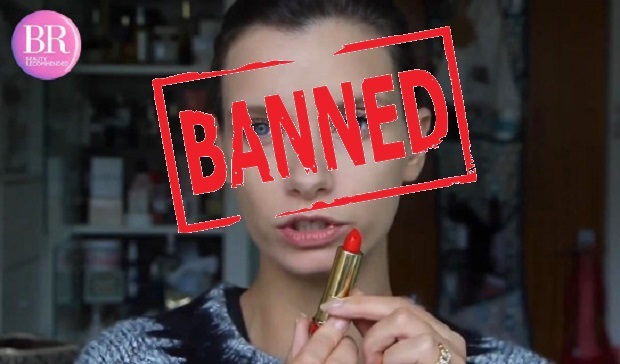 The ASA ruled that the ad mislead viewers who would not be aware that the ‘Beauty Recommended’ channel – under which the video appeared – was owned by P&G and therefore classed as sponsored advertising. Crilly has her own YouTube channel called A Model Recommends that has nearly 300,000 subscribers. P&G has defended its case, stating that the brand ensured that viewers were aware that the vlog was sponsored before they engaged with the material. However, the ASA ruled that consumers would not necessarily be aware that the Beauty Recommended brand was owned by P&G and therefore that the video must not appear again in its current form. The move echoes a similar case last year when Mondelez UK came under fire for similar reasons at the end of last year, following five YouTube videos featuring UK vloggers taking part in an Oreo ‘lick race’. The videos were ultimately ruled as ‘commercially misleading’ and banned by the ASA. P&G is one of the world’s biggest spenders when it comes to advertising, but the company has announced it will reduce its spending on traditional methods like print ads in favor of more affordable and effective digital presentations in the future.